Falvey Memorial Library is excited to announce the addition of the PBS Video Collection to our online streaming video offerings. The PBS Video Collection is available on the Alexander Street Press platform. The PBS Video Collection assembles hundreds of the greatest documentary films and series from the history of the Public Broadcasting Service into one convenient online interface. A core of 245 titles, selected for their high quality and relevance to academic curricula, covers many educational disciplines, including history, science and technology, diversity studies, business, and current events. This collection provides access to the films and series users already know and trust, including Frontline, NOVA, American Experience, Odyssey, and films by Ken Burns and Michael Wood. Search or browse the collection to find the best videos for your courses. Create playlists or clips. Link or embed videos and clips; you can even embed video in your Blackboard course! For assistance using the PBS Video Collection, please contact Alexander Williams. Census 2010 – Population Density per sq. mile surrounding Villanova University. From Social Explorer. Introducing a new research guide for students and faculty interested in using U.S. Census data in their next research project. The Census Tools guide provides an overview of the various tools offered by Falvey Memorial Library, in addition to American FactFinder 2, the official tool of the U.S. Census. The guide includes a brief description of each tool, relevant coverage, and recommended uses. Researchers can also find links to help pages and other aids for each tool. The Census Tools guide is the perfect starting point for your demographic research! Introducing two new library guides! This guide includes several video tutorials demonstrating different methods for accessing the full text of library materials. 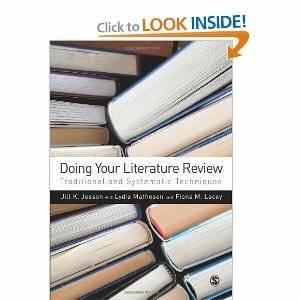 Topics include how to access the full text when you have a full or partial article citation, how to link to full text when searching a library database, how to find full text from the library’s online catalog, and how to link to the library’s full text subscriptions through Google Scholar. Have you been painstakingly searching out DOIs for your reference lists but don’t really understand what they are all about or how they are useful to you? This guide covers what a DOI is, where to find it, how to cite it, and how to use it to quickly find articles. The library has received many new books in the area of research methods that are of interest across the social sciences. See some highlights below, or browse the full list of new arrivals in research methods. Falvey Memorial Library recently subscribed to a large package of social science journals from Sage Journals Online. These titles are now available in full text online through library resources. The My Tools feature of Sage Journals Online allows users to establish email alerts, saved searches, marked citations, and favorite journals through personal accounts. If you need assistance setting up a personal account or taking advantage of these tools, please contact Kristyna. Here are some highlights from the newly acquired titles in the Sociology Collection. Check this blog for more highlights from other disciplines! Ethnography (ETH) is a fully peer reviewed quarterly journal now indexed in ISI – Impact Factor pending. An international and interdisciplinary journal addressing ethnographic findings and methods it bridges the chasm between sociology and anthropology promoting a pragmatic fusion of close-up observation, rigorous theory and social critique. It re-engages field-based research with theoretical sensibility representing how ethnography is actually practiced and written. Theory, Culture & Society is a highly ranked, high impact factor, rigorously peer reviewed journal that publishes original research and review articles in the social and cultural sciences. Launched to cater for the resurgence of interest in culture within contemporary social science, it provides a forum for articles which theorize the relationship between culture and society. Latin American Perspectives (LAP), peer-reviewed and published bi-monthly, is a theoretical and scholarly journal for discussion and debate on the political economy of capitalism, imperialism, and socialism in the Americas. Offering a vital multidisciplinary view of the powerful forces that shape the Americas, most issues focus on a single problem, nation, or region, providing an in-depth look from participants and scholars. Journal of Sport and Social Issues (JSSI), published monthly, brings you the latest research, discussion and analysis on contemporary sport issues. Using an international, interdisciplinary perspective, JSSI examines today’s most pressing and far-reaching questions about sport. Journal of Sociology is the official journal of The Australian Sociological Association. It carries peer refereed articles of sociological research and theory on issues of interest to Australian sociology and aims to promote dialogue and exchange between Australian sociologists and the international community of sociology. Feminist Theory is an international peer reviewed journal that provides a forum for critical analysis and constructive debate within feminism. Feminist Theory is genuinely interdisciplinary and reflects the diversity of feminism, incorporating perspectives from across the broad spectrum of the humanities and social sciences and the full range of feminist political and theoretical stances. The journal is now indexed by ISI – Impact Factor pending. Here are some highlights from the newly acquired titles in the Psychology Collection. Check out this blog for more highlights from other disciplines! One of the world’s most respected publications in psychoanalysis, the Journal of the American Psychoanalytic Association (JAPA) offers insightful and broad-based original articles, ground-breaking research, thoughtful plenary addresses, in-depth panel reports, perceptive commentaries, plus much more. Included in each issue is the esteemed JAPA Review of Books, which provides comprehensive reviews and essays on recent notable literature. Autism is a major, peer-reviewed, bi-monthly, international journal, providing research of direct and practical relevance to help improve the quality of life for individuals with autism or autism-related disorders. It is interdisciplinary in nature, focusing on evaluative research in all areas, including: intervention; diagnosis; training; case study analyses of therapy; education; neuroscience; psychological processes; evaluation of particular therapies; quality of life issues; family issues and family services; medical and genetic issues; epidemiological research. Emotion Review (EMR) is a peer reviewed, quarterly published journal in association with the International Society for Research on Emotion (ISRE). The aim of the journal is to publish theoretical, conceptual and review papers (often with commentaries) to enhance scientific understanding of emotion theory and research. It accepts papers from a wide disciplinary spectrum – wherever emotion research is active. Group Processes & Intergroup Relations (GPIR), peer-reviewed and published bi-monthly, is a scientific social psychology journal dedicated to research on social psychological processes within and between groups. It provides a forum for and is aimed at researchers and students in social psychology and related disciples. Here are some highlights from the newly acquired titles in the Criminal Justice Collection. Check this blog for more highlights from other disciplines! Active Learning in Higher Education is an international, peer reviewed publication for all those who teach and support learning in higher education and those who undertake or use research into effective learning, teaching and assessment in universities and colleges. The journal is devoted to all aspects of development, innovations and good practice in higher education teaching and learning, including the use of information and communication technologies and issues concerning the management of teaching and learning. Educational Management Administration & Leadership (EMAL) is a peer reviewed journal that publishes original contributions on educational management, administration and leadership in the widest sense. EMAL is published 6 times a year and edited by Tony Bush, University of Warwick. EMAL is covered by the Social Science Citation Index, Journal Citation Report-Social Science edition, Impact Factor pending. Educational Policy (EPX) focuses on the practical consequences of educational policy decisions and alternatives. It examines the relationship between educational policy and educational practice, and sheds new light on important debates and controversies within the field.Educational Policy blends the best of educational research with the world of practice, making it a valuable resource for educators, policy makers, administrators, researchers, teachers, and graduate students. Education, Citizenship and Social Justice provides a strategic forum for international and multi-disciplinary dialogue for all academic educators and educational policy-makers concerned with the meanings and form of citizenship and social justice as these are realised throughout the time spent in educational institutions. Here are some highlights from the newly acquired titles in the Criminal Justice Collection. Check back with this blog for more highlights from other disciplines! Child Maltreatment (CM), published quarterly, is the official journal of APSAC, the nation’s largest interdisciplinary child maltreatment professional organization. The object of CM is to foster professional excellence in the field of child abuse and neglect by reporting current and at-issue scientific information and technical innovations in a form immediately useful to practitioners and researchers from mental health, child protection, law, law enforcement, medicine, nursing, and allied disciplines. Feminist Criminology (FC), published quarterly, is an innovative journal dedicated to research related to women, girls, and crime within the context of a feminist critique of criminology. The official journal of the Division on Women and Crime of the American Society of Criminology, this international publication focuses on research and theory that highlights the gendered nature of crime. Theoretical Criminology is a major interdisciplinary, international, peer reviewed journal for the advancement of the theoretical aspects of criminological knowledge. Theoretical Criminology is concerned with theories, concepts, narratives and myths of crime, criminal behaviour, social deviance, criminal law, morality, justice, social regulation and governance. The journal is committed to renewing general theoretical debate, exploring the interrelation of theory and data in empirical research and advancing the links between criminological analysis and general social, political and cultural theory. Youth Violence and Juvenile Justice (YVJJ), peer-reviewed and published quarterly, serves a diverse audience of academics and practitioners in juvenile justice and related fields with a resource for publishing current empirical research, discussing theoretical issues, and reviewing promising interventions and programs in the areas of youth violence, juvenile justice, and school safety. Articles address the fields of juvenile justice and youth and school violence prevention. Here are some highlights from the newly acquired titles in the Communication Collection. Check back with this blog for more highlights from other disciplines! Convergence is a quarterly, peer-reviewed academic journal that publishes leading research addressing the creative, social, political and pedagogical issues raised by the advent of new media technologies. It provides an international, interdisciplinary forum for research exploring the reception, consumption and impact of new media technologies in domestic, public and educational contexts. It is edited by Julia Knight and Alexis Weedon. Discourse Studies is an international peer-reviewed journal for the study of text and talk. Publishing outstanding work on the structures and strategies of written and spoken discourse, special attention is given to cross-disciplinary studies of text and talk in linguistics, anthropology, ethnomethodology, cognitive and social psychology, communication studies and law. It is edited by Teun A. van Dijk. Global Media and Communication is an international, peer-reviewed journal that provides a platform for research and debate on the continuously changing global media and communication environement. Its scope includes communication and media studies, anthropology, sociology, telecommunications, public policy, migration and diasporic studies, transnational security and international relations. Science Communication (SC), published quarterly, is an international, interdisciplinary social science journal that examines the nature of expertise, the diffusion of knowledge, and the communication of science and technology among professionals and to the public. SC addresses theoretical and pragmatic questions central to some of today’s most vigorous political and social debates. This discourse crosses national, cultural, and economic boundaries on issues such as health care policy, educational reform, international development, and environmental risk. Here are some highlights from the newly acquired titles from the Research Methods & Evaluation Collection. Check back with this blog for more highlights from other disciplines! Action Research is an new international, interdisciplinary, peer reviewed, quarterly published refereed journal which is a forum for the development of the theory and practice of action research. The journal publishes quality articles on accounts of action research projects, explorations in the philosophy and methodology of action research, and considerations of the nature of quality in action research practice. Qualitative Inquiry (QIX) provides an interdisciplinary forum for qualitative methodology and related issues in the human sciences. The journal publishes refereed research articles that experiment with manuscript form and content, and focus on methodological issues raised by qualitative research rather than the content or results of the research. QI also addresses advances in specific methodological strategies or techniques. Statistical Modelling’s primary aim is to publish original and high-quality articles that recognize statistical modelling as the general framework for the application of statistical ideas. Submissions must reflect important developments, extensions, and applications in statistical modelling. The journal also encourages submissions that describe scientifically interesting, complex or novel statistical modelling aspects from a wide diversity of disciplines, and submissions that embrace the diversity of applied statistical modelling.